This global retail corporation suffered during new product launch events from slow and unreliable user registrations and logins. Product launches were marketed with campaigns throughout the US and globally, which led to a high amount of traffic that unfortunately included bot traffic. The global e-commerce site began to falter with traffic as low as 100-200 customer registrations and logins per second, which is a very small number of requests for newly released & high-demand products. Massive Performance Gains and a Decrease of 60% in Bad Bot Traffic Result in a Huge Win. Several business and technical challenges required solving to create a win for the brand. The initial identified challenge was to handle 500+ logins and registrations per second for a time period of 4 hours. However, upon further investigation it was determined that reducing and/or eliminating bot product purchases would reduce the load on the system and help improve the brand by getting more product to real customers. TechSparq worked with the client architects to design and implement a set of cloud microservices in AWS. This new cluster of services served a number of purposes and was preferred over a monolith architecture which would not allow for calling of domain operations. The new, clustered service layer allows for the dynamic ramp up and ramp down of processing power when needed. After breaking apart the large monolith historical web application, the system made huge strides in servicing login and registration requests. 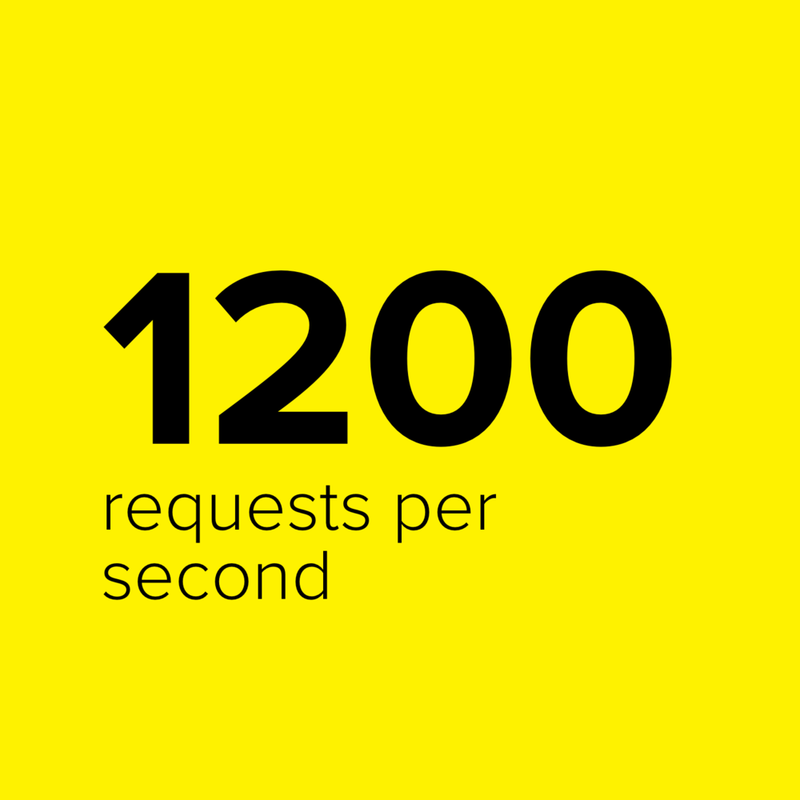 Historically the system would begin to fail when processing 100-200 login/registration requests per second. During alpha testing the new system was able to process 1,200 login/registration requests per second using small commodity hardware in place of large enterprise hardware. Twilio was added to the registration flow to combat bot registration, in addition to a new business process that limits the number of products that can be purchased by an individual during a new product launch. With these two additions, product hoarding and scalping were greatly reduced, resulting in improved user satisfaction and brand satisfaction. Historically, these hot products were sold out within minutes to product hoarders and scalpers who would re-sell the items on eBay for up to 3000% markup. Once the system upgrades were deployed, this global retail giant measured a decrease of 60% in bot activity on the site, meaning actual users were able to use the site instead of experiencing long wait times and failed page loads. These services serve as a foundational system for user profile information that is utilized by iOS and Android mobile apps. Typical HTML-based web applications also utilize these services. Technology Stack: Twilio, Redis, Java, ElasticSearch. The global retail giant used a rational microservices approach to divest of a monolith web application that simply could not scale and meet current-day demands. Two-factor authentication and an enhanced login/registration process were implemented as well to combat product hoarding and scalping. The retailer was able to dramatically reduce the amount of bad bot traffic on its e-commerce site by 60%. That’s a huge win for this initial phase of work because product scalping and hoarding are a huge drag on the retail brand. Furthermore, increased capacity (and no website crashes) leads to improved user perception and a better experience, resulting in more purchases by actual consumers. Brand loyalty has improved by 15%. We have more case studies to share. At TechSparq, we protect your data, improve customer interaction, and increase your bottom line. © 2019 TechSparq, Inc.. All Rights Reserved.